Join the Goddess Vesta as her suitors vie for her favor. Who will win- The Lover, the Trickster, the Alchemist, or the Warrior? 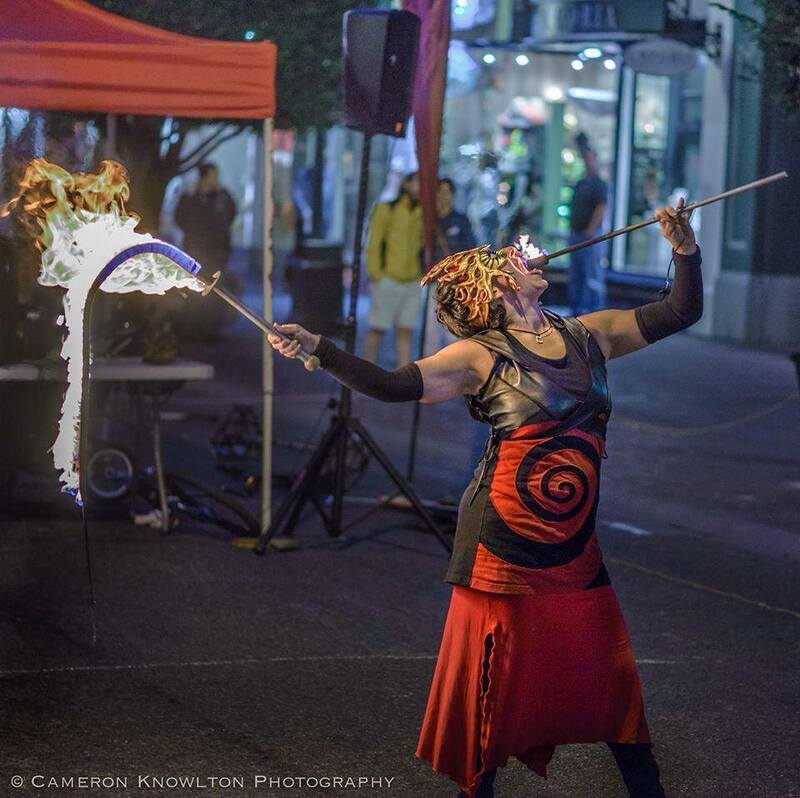 Spectacular 45 min theatrical fire show based on Mythology and archetypical characters, this is the show that wow’ed the audience at the 2013 International Victoria Busking Festival, drawing the biggest crowds for the Sat eve finale on Gov’t street. Perfect for imaginative festivals or Celtic/fantasy based events, it utilizes gorgeous leather character masks. Stilts, and epic music to transport the audience to a timeless land of gods and goddesses. Cost: $2000- 4000$ depending on number of performers and type of flame effects used.